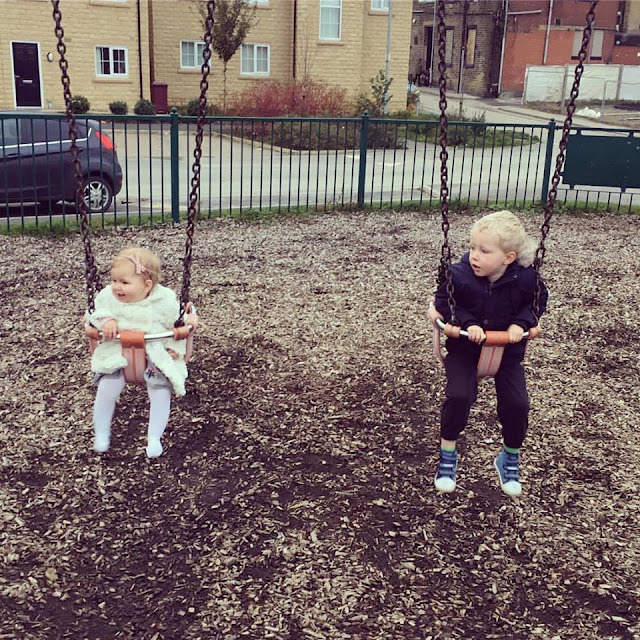 Both kids enjoying a trip to the park this week, they both love the swings! I think Noah could sit in one all day although he's getting a bit big for them now, yet not big enough for the big boy swing! It's quite tricky to push them both at once but Ava is quite happy to sit there and giggle while she watches Noah swing super high. Nice. Reminds me of many times at the park :- With children, as well as when I was a child myself. Have always loved the swings. What a lovely photo. Parks are such a blessing with gardens so small and so scarce these days. Kids just love a park don't they. Our local park is a bit rough, too much glass and filth. Such a shame as its within walking distance. Great to have a play park.